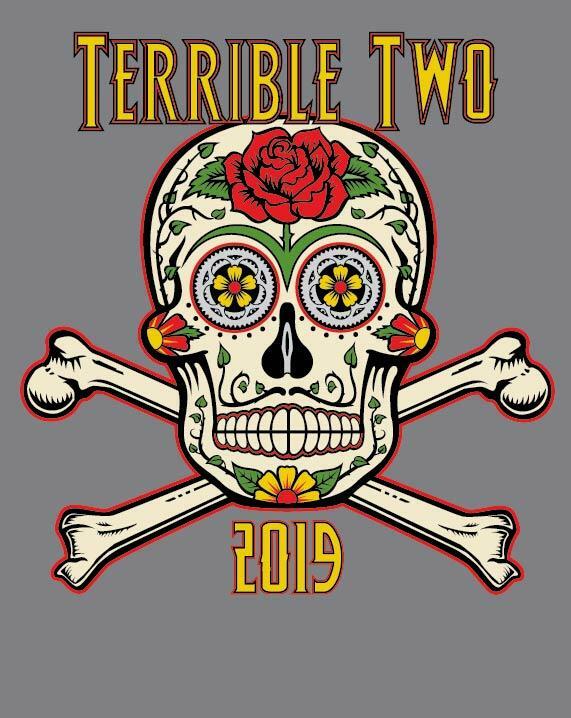 History of the Terrible Two The Terrible Two was started in 1976 by three Sonoma County riders, Clifford Scott, Rod Mowbray, and Gordon Burns - more-or-less members of the Santa Rosa Cycling Club. They were bored with the other double centuries and figured that a 200-mile course in and around Sonoma County would include some very challenging hills and spectacular scenery. After a trial run in June of 1976, they brought in the club to sponsor the event for the public and the first official TT was held later that summer on August 14. The date was eventually moved to a Saturday near Summer Solstice for maximum daylight. Expecting only the most serious riders, the first few TTs only provided lunch, no rest stops, and minimal sags. The original Spartan approach has evolved to a level equal to a typical club-sponsored century. We now actually try to help riders finish, rather than just throwing out the challenge. There are now six full rest stops (including lunch), sag wagons, radio links, and extra water stops. Because the course is so difficult and remote, we log every rider through every rest stop, radio the information back to the finish, and track each individual's progress on a master chart we call the War Board. The event is timed. In a year with moderate weather, the finishing rate may approach 75%. When it is extremely hot, as it can sometimes be, the finishing rate drops dramatically. The 2012 event was the worst ever, with temperatures over 110° and with a finishing rate by 10:00 PM—16:30 elapsed time—of only 35%. In 2014, we introduced an excellent 200-K option, which starts after the 200-mile riders have departed. Click for more information about the 200-K. The TT course has changed in many ways over the years but has retained most of its original and essential elements. Practical, logistical constraints have caused us to move the start/finish venue several times. Natural events--landslides, wildfires, etc--have forced us to adjust the route many times. And red tape wrangling--squabbling with bureaucrats over event permits--has also forced us to make changes now and then. Our goal always remains the same: to stick as close as possible to the original vision of the event. Most years, we manage to do that. Frequently Asked Questions Am I ready for this ride? All of the successful (and most of the unsuccessful) TT participants are experienced, fit riders. The Terrible Two should not be your first double century. Before you attempt the TT, you should complete such rides as the Markleeville Death Ride (all passes), Climb to Kaiser, or the Davis Double. Most riders who have done both Davis and the TT find that the latter takes three to four hours longer, depending on one's climbing ability. So please don't attempt the Terrible Two if Davis took you much over 13 hours. On the other hand, don't be intimidated. If you've completed other doubles comfortably, you ought to try this. All the climbing may be a big challenge, but you do get to rest on all the descents, and it's certainly more scenic and entertaining than 200 miles of flat lands! The ride officially ends at 10:00 pm (to qualify for an I DID IT! t-shirt), but riders may continue until 11:00 pm to earn Triple Crown credit. Anyone still on the course after 11:00 pm will not be listed as an official finisher. After ten, support on the road and at the finish will be minimal. The ride is scheduled for a Saturday near the longest day of the year, and lights are not needed at the 5:30 am start. Full dark arrives around 9:00 pm. If you think you'll be out later than that, put your lights in a bag with your name and the name of the rest stop where you want to pick them up, and we'll deliver them for you. (We provide bags.) While some riders have their lights delivered to Ft. Ross, the more realistic option is the last stop at Monte Rio. It's 17 miles from the finish, and if you haven't reached there by full dark (9:00), you'll be hard-pressed to finish by the 10:00 time limit. Besides, you don't really want to carry the extra weight up the Ft. Ross climb. We provide sag support and rest stops on a level geared to a fit rider. There are six full rest stops and four informal water stops, coming closer together later in the event. There are numerous sag vehicles and ham radio contacts roving the course. We offer energy drink mix at all stops (in fact a wide array of Hammer Nutrition products). Private sags are prohibited. If you have a spouse or friend who serves as a private sag for you at other events, we may add them to our sag fleet, but they must work for all riders. Number bibs, each with a rider's name on it, will be laid out in alphabetical order. Find your name/number, pin it on, grab a map, and you're checked in. Simple as that.